It was bows and curtsies aplenty at Jurong Port yesterday, as Her Royal Highness Princess Anne met members and others involved with the Riding for the Disabled Association (RDA) of Singapore and the Mission to Seafarers Singapore (MTSS). Princess Anne is the patron of the RDA and president of the Mission to Seafarers, worldwide. Here for the Commonwealth Agricultural Conference, she arrived on Tuesday and will leave today. Upon her arrival at Jurong Port, she was greeted by a 43-strong RDA Singapore contingent, which included Paralympians Maximillian Tan, 29, and Gemma Rose Foo, 20, and a therapy horse named Amorcita. Beneficiaries were presented with rosettes by the princess, who toured the MTSS drop-in centre. “Such centres provide a recreational space for seafarers when they are docked. They can phone home, read the papers, use the Internet and play pool,” said Captain Robert Walker, chairman of MTSS. 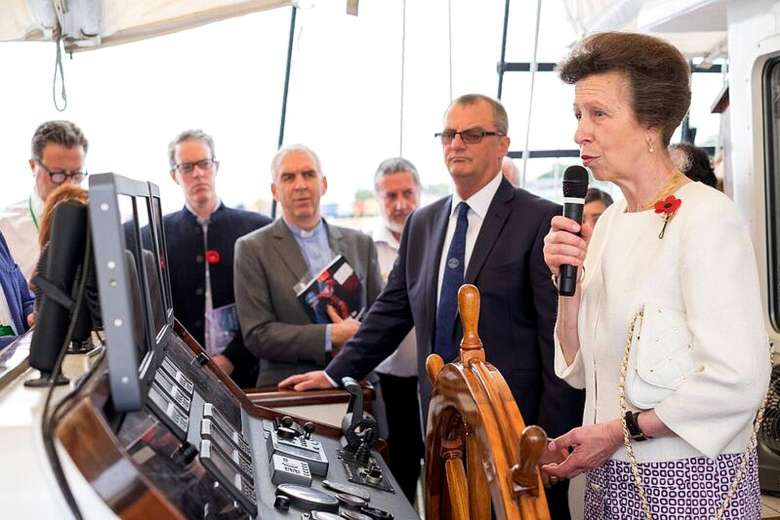 The princess also attended a reception on the Royal Albatross yacht, where Paul Roberts, former lead singer of The Stranglers, serenaded the 129 guests.